I was going to go hiking, but I woke up with some sniffles and a sore throat. As it turns out, I think it’s just an allergic reaction. Maybe to pollen? Or vog? I always used to ask Melody if it was a bad allergy day. I’ll have to find someone to ask. I decided to run some errands since I had the time. I got a haircut. I’m going to Supercuts. 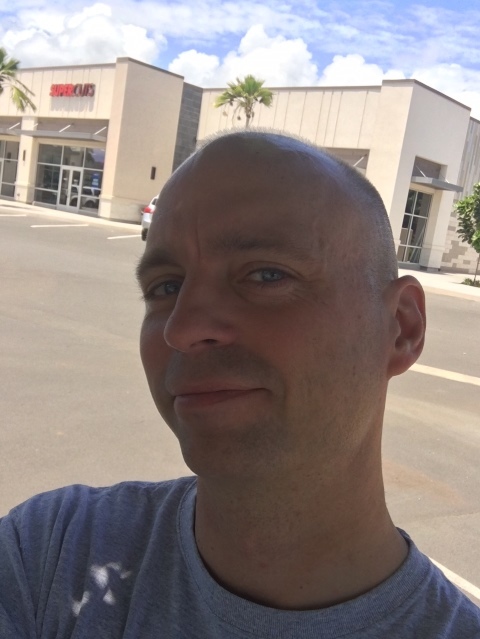 It’s right by Target on the southern edge of Kahului. It’s really easy to get to from my apartment. I had the same hair cutter last week, and she recognized me. We had a really nice chat but as I was paying, she said she was getting transferred to a different Supercuts. Dang. Well, it’ll give me a chance to get to know someone new. Its a zero blade on the sides, and one and a half on top. I had some things to return to Target, so I stopped there. I have wanted a clock by my bed so I can just turn over and see what time it is, instead of waking up my phone and being blinded by its brightness. I also wanted to get one with a radio, because I like listening to some news while I get ready in the morning. It was hard to find a clock radio though. Do people not use them anymore? Lots of USB outlets, but no radios. 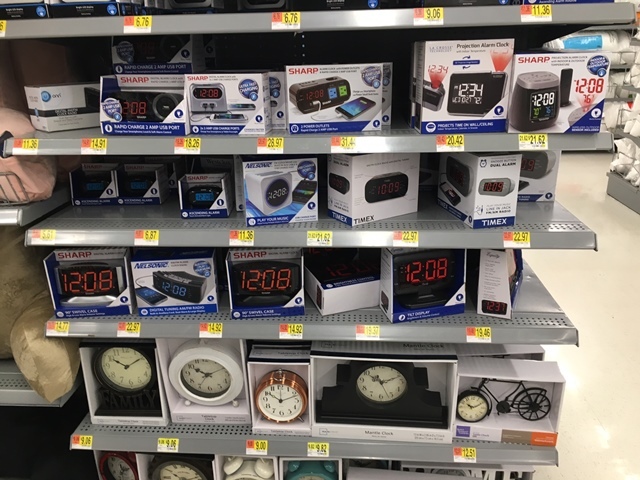 After some more wandering around, I found clock radios in the electronics section. The other clocks were in the bathroom section. This entry was posted in Haircuts. Bookmark the permalink. Are you getting a haircut once a week? That is frequent. I like the photo of the clocks. It will give me a good price comparison of how much more things cost over there. I hope your sniffles and sore throat are gone today! I tried to buy just a plug in radio for when I worked at Camel and that was a difficult task? I found a cheap little square box one at walmart and it did the job! HEY, I should get that out and put in on my make up desk…..we took the tv out of the bedroom so when I get ready in there now it’s eerily quiet. Thanks for the idea! !